Belt up and enjoy this 365-day ride as you cruise past the most momentous motoring events in history. Packed with fascinating facts about races, motorists and the history of the mighty engine, this is a must-visit web site for any car enthusiast. Sorry this page can not be found. 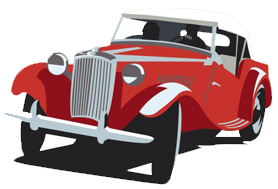 Test your motoring knowledge with our free Auto-Words sampler. Click below to download. Any donations to keep the site up and running would be much appreciated. We currently have two books available that accompany the website. Test your Motoring knowledge with the The Ultimate British Roads and Motorways Quiz Book or read a day by day account with 365 Days of Motoring: An Everyday Journey Through its History, Facts and Trivia.